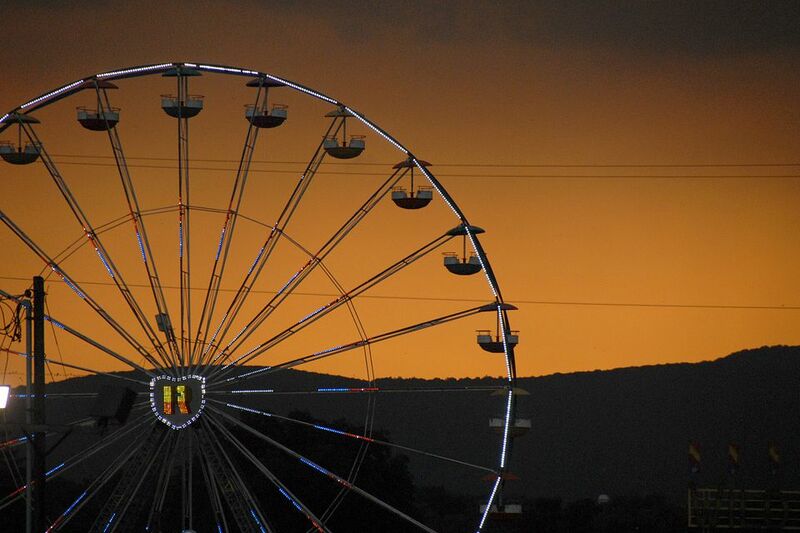 The Frederick County Fair is one of the oldest agricultural fairs in the state of Maryland. It dates back to 1862 when it was known as the Cattle Show and Fair. The annual event promotes and educates the public about agriculture and is planned by the Frederick County Agricultural Society, which is made up of 25 shareholders who own the fairgrounds. Over the years the fair has changed names several times. Today, the Frederick County Fair is officially named the Great Frederick Fair. The event is held each September and features live entertainment, tractor pulls, carnival rides, an equine expo and showcase, agricultural events, educational activities, contests, and food galore. The fairgrounds feature 44 buildings on more than 40 acres. The fair is held from Sept. 14 to 22, 2018. Hours are from 4 to 10 p.m. on Sept. 14 and from 9 a.m. to 10 p.m. the rest of the run. The fair is held at Frederick Fairgrounds, 797 E. Patrick St. in Frederick, Maryland. Frederick is located just north of Montgomery County and is accessible from Interstate 70, I-270, U.S. Highway 15, and U.S. Highway 40. Directions from Washington: Take I-270 north to I-70 (Exit 32), bear right to I-70 east, take the South Street exit, and turn right onto East. South Street; at the first stop sign turn onto Franklin Street and follow the signs to the Fairgrounds entrance. Parking is limited on the Frederick Fairgrounds ($10 per vehicle on the Fairgrounds lot). You may also park in lots A, B, C, and D for $5 per vehicle. Tickets cost $8 per person; children ages 10 under are free. On opening day, Sept. 14, admission is $5 per person, and children ages 10 and under are free. On Monday, Tuesday, and Wednesday, adults age 65 and over can get in free but still must pay for parking. Wednesday is Military Appreciation Day, and active duty military members in uniform or with ID can get in free until 6 p.m. Horse Pull Contest: Lightweight and heavyweight classes. Harness Racing: The races at the fair are strictly for exhibition and do not allow pari-mutuel betting. (In horse racing, betting is nearly always pari-mutuel. This means that when you bet, you are betting against everyone else rather than the house, as you would in a casino. The odds depend on how much is bet on each horse. Th worse the odds, the more you walk away with if you win. For example, if the odds are 5 to 1, you get $5 for every $1 you bet on a winning horse. If the odds are 20 to 1, you get $20 for every $1 you bet on the winner.) The Great Frederick Fair is one of only two fairs offering harness racing in Maryland. Celebrity Harness Racing: Local celebrities compete in Harness Racing in front of the grandstand. Kids Harness Racing: Free for children ages 4 to 9 years old. Kids Pedal Pull: Free for children ages 5 to 10 years old. The Kiddie Pedal Pull lets kids Dream Big and imagine what it is like to be in a tractor pull while their family and friends cheer them on. Stick Horse Workshop & Contest: Children ages 1 to 10 can make their own stick horses. Antique Car Parade and Carriage Parade: “Old Timer’s Day” parade of carriages, carts, buggies, and horse-drawn implements. Other Activities: Around the fair throughout the week you'll find bluegrass music and other musical performances, along with various demonstrations that include how to do home canning, how to make homemade ice cream, how to shell corn, and how to make butter. You can also get some instruction on patio garden design and container gardening.